Cube steaks aren't a specific cut of meat. Instead, they are typically a top round, top sirloin or bottom sirloin steak that has been processed by an electric meat tenderizer. The tenderizing breaks down the muscle fibers, giving the steaks their characteristic appearance and making cube steaks more tender than the original cut. 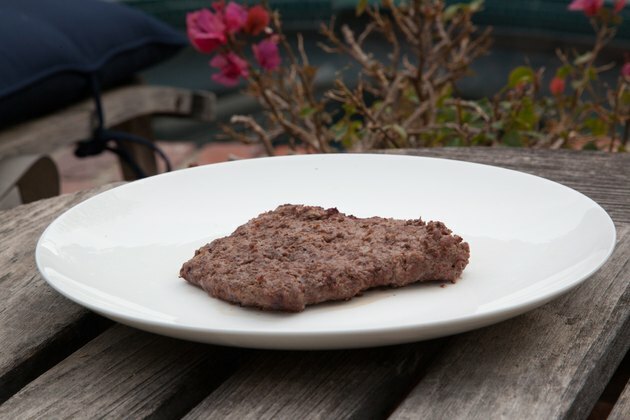 Often labeled in grocery stores as minute or Swiss steak, cube steaks are usually pan-fried or braised, though they can also be grilled for a low-fat meal that can be ready in less than 10 minutes. 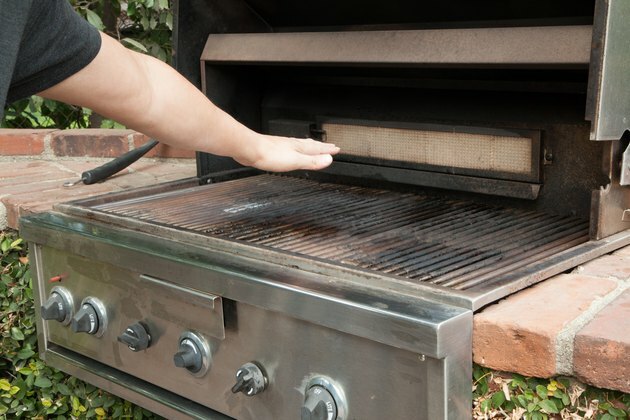 Preheat a gas grill to 350 to 400 degrees Fahrenheit, or a charcoal grill until you can hold your hand comfortably 3 inches above the grate for no more than 5 seconds. Use a grilling brush to lightly coat the grate with canola oil. Sprinkle both sides of each cube steak with your choice of seasonings, such as salt, pepper, spices or dried herbs. Place the steaks on the grill and allow to cook for 3 minutes. 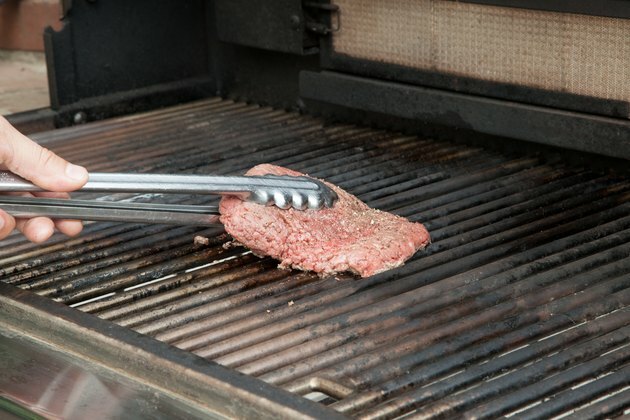 Use tongs to turn each cube steak over. Grill for 3 minutes on the other side. 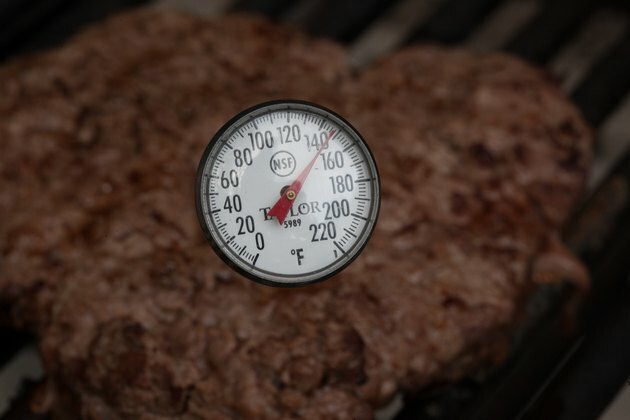 Confirm with a meat thermometer that the cube steaks have reached an internal temperature of 145 degrees Fahrenheit for medium-rare. 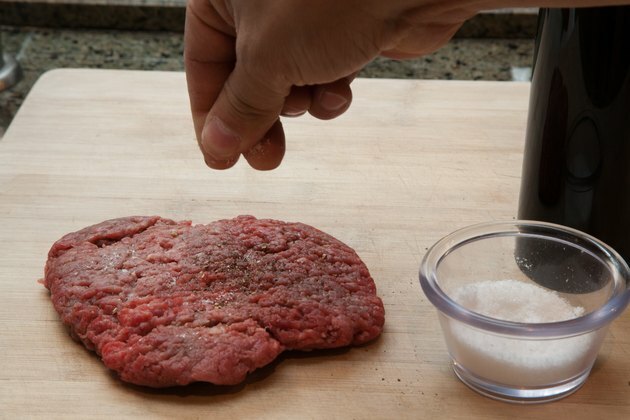 Place the cube steaks on a clean cutting board or platter and allow them to rest for at least 3 minutes. If desired, soak the cube steaks in your choice of marinade for 15 minutes at room temperature or 2 or more hours in the refrigerator. Serve the cube steaks with grilled or sauteed vegetables, such as mushrooms, peppers and onions. The BBQ Pit Boys site recommends coating cube steaks with seasoned panko mixed with Worcestershire sauce and oil before grilling the meat. Use them to make steak sandwiches with a crunchy texture. Always use clean plates and utensils to handle cooked cube steaks. 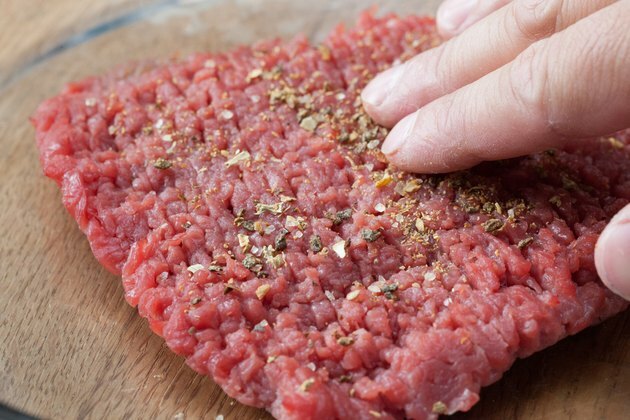 Avoid reusing plates or utensils that have touched raw beef until they have been thoroughly washed. Home Ec 101: What Is the Difference Between Cube Steak and Round Steak?